Another season, Another ingredients list. When July comes around a whole new list of ingredients comes around too. As we have seen in our passed blogs for the last few seasons eating healthy and fresh produce is extremely important especially during the seasons. Eating fruits and vegetables provides many benefits. One is calorie control: many fruits, vegetables, and legumes are low in calories and high in volume and nutrients. So, if you’re trying to lose weight, fruits, vegetables, and legumes can help you feel full without eating too many calories. Fruits, vegetables, and legumes are packed with vitamins, minerals, fiber, and other nutrients. They can help you get the most nutrition out of the daily number of calories you’re supposed to eat. 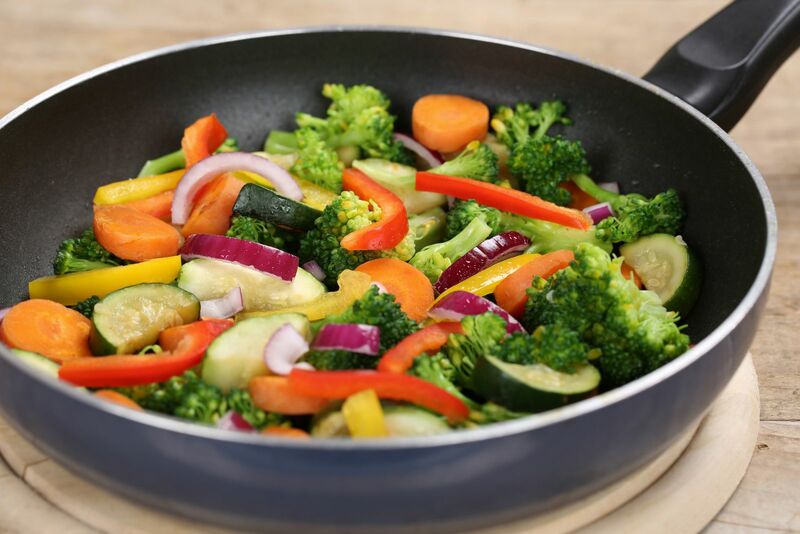 Remember, different vegetables are rich in different nutrients, so aim for a variety of vegetables throughout the week, including those that are dark green and leafy, orange, and starchy. And, don’t forget dry beans and peas. The fiber in fruits, vegetables, and legumes is important. Diets rich in fiber-containing foods may reduce the risk of heart disease. Many fruits, vegetables, and legumes are also rich in nutrients, such as vitamins A and C, folate, and potassium. If fruits and vegetables are canned, dried, or frozen, use the Nutrition Facts label to check the calories, the nutrient content, and fat, added salt (sodium), and sugar. Use the percent Daily Value (% DV) to determine how much dietary fiber, vitamins A and C, and potassium, are in the food you select; 5% DV or less is low and 20% DV or more is high. If you want to meet recommended intakes for certain nutrients such as dietary fiber, vitamins A and C, and potassium, look for food high in those nutrients. For nutrients that you need to limit your intake of, such as sodium and saturated fat, select food that is low in those nutrients. Fresh, local fruit and vegetables in season are best and can be very good value. Eat a variety of coloured fruit and vegetables – green, yellow, orange, red and purple in order to benefit from the variety of vitamins and minerals provided by each colour group. Include a vitamin C rich fruit each day such as an orange or orange juice, strawberries or blackberries. Count fruit juice and smoothies as only one serving each day as they may be low in fibre. Herbs: Thyme, sage, Parsley, basil, chives, coriander, dill, fennel and mint.